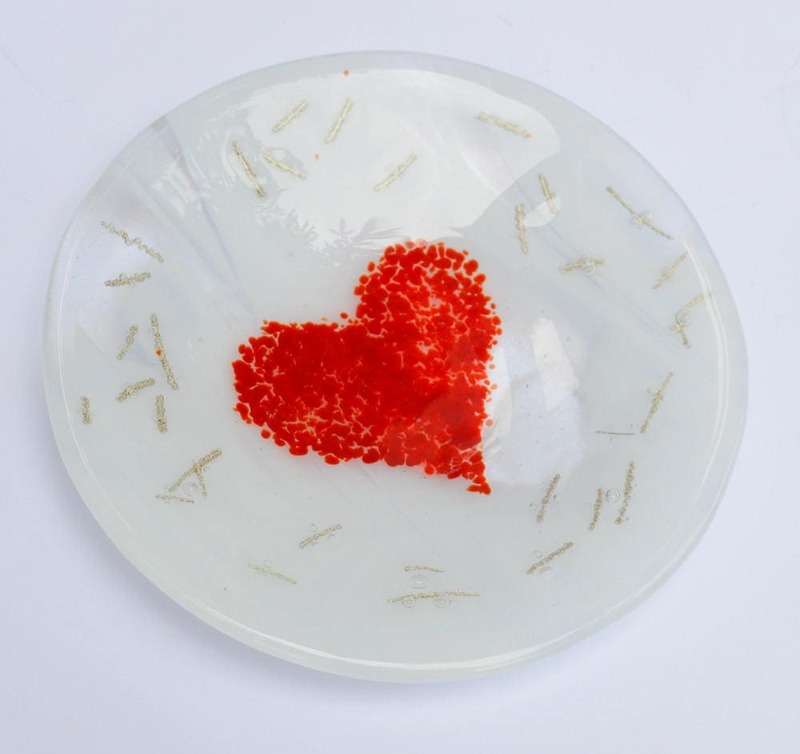 Round fused glass bowl, measuring approx.18cm in diameter and one inch deep. 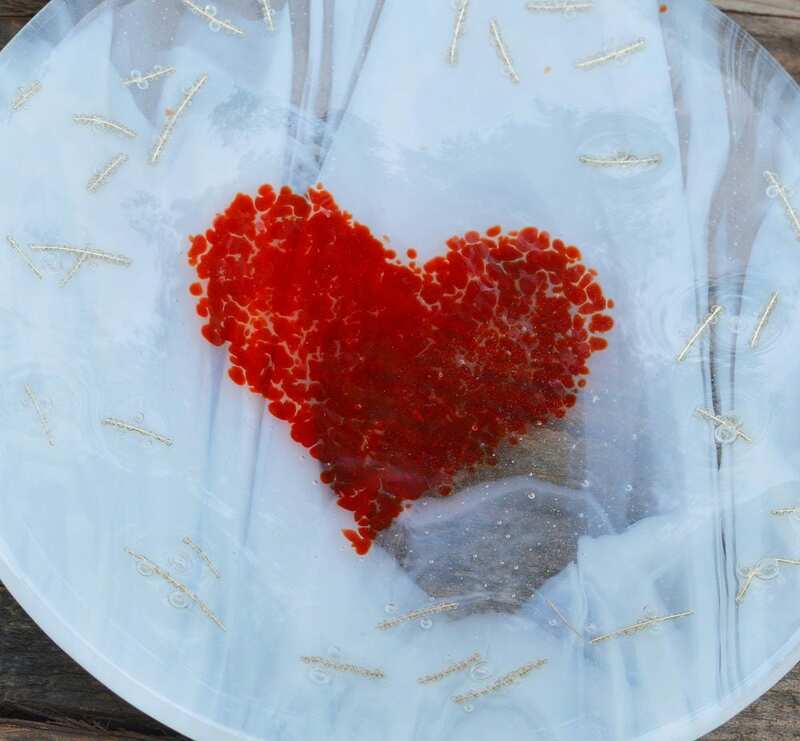 Hand crafted myself from a layer of white & transparent streaky glass topped with clear glass and a cherry red heart made from small particles of glass. 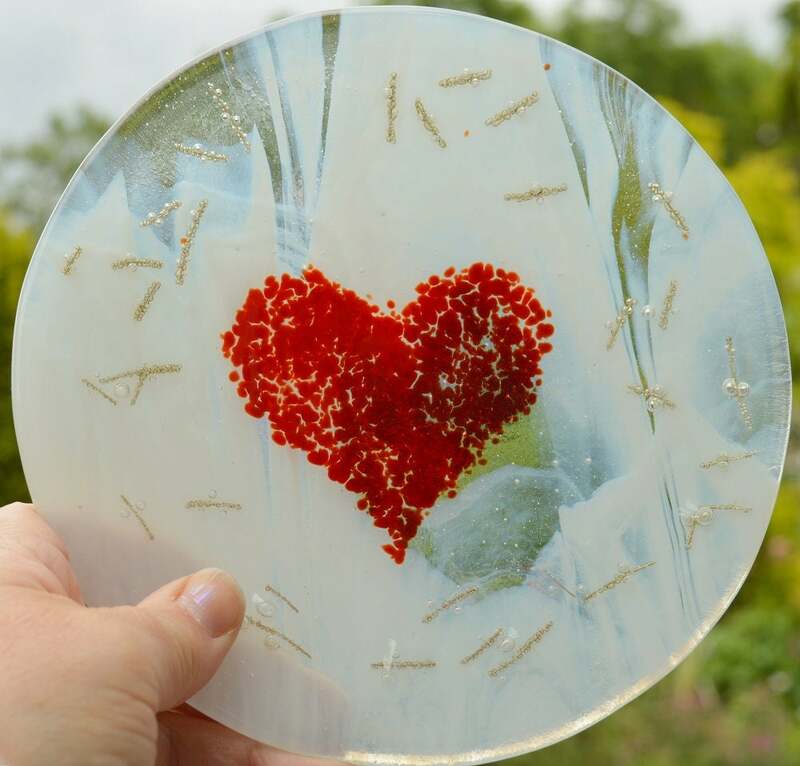 Sandwiched between the two layers are little snippets of brass wire to create little bubbly sprinkles. 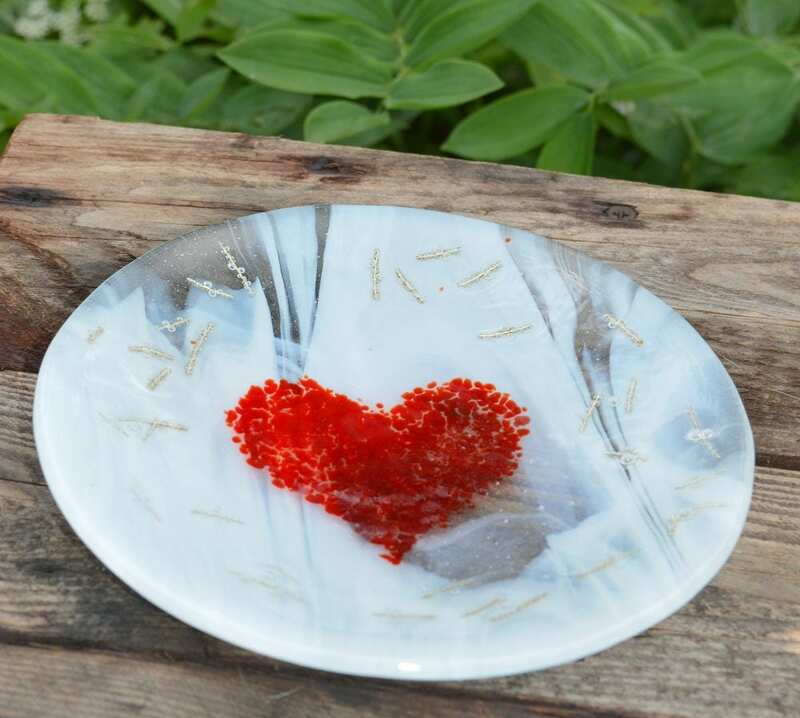 Beautiful wedding or engagement present or as a gift to someone special. 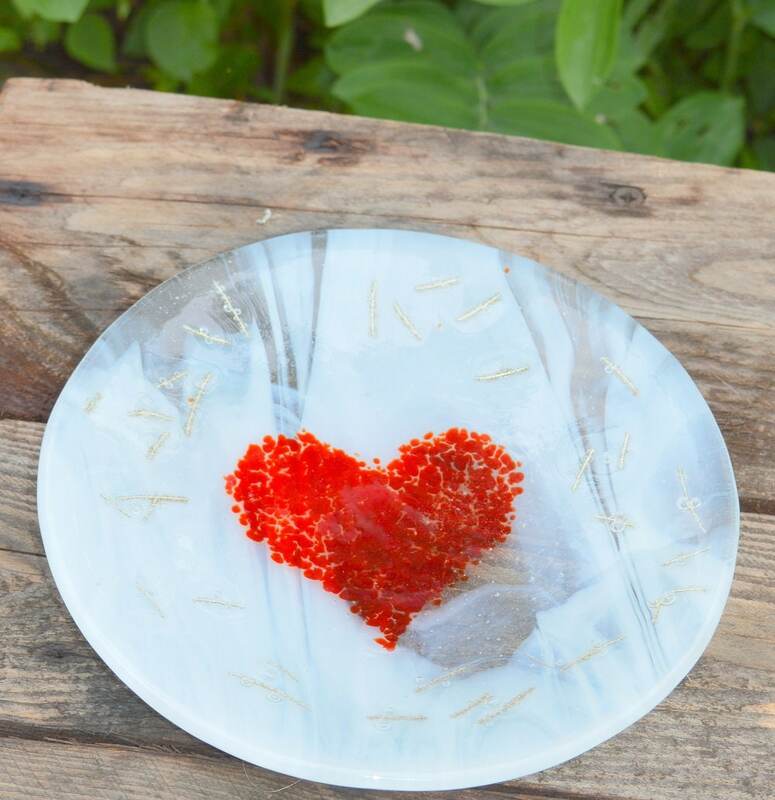 Makes a lovely candy bowl, candle platter, trinket dish or soap dish. Created in my home studio in Bristol so is one of a kind.